Maintaining a safe workplace involves far more than just ensuring everyone has the right safety equipment and the facility is kept free from obvious hazards. Every facility needs to work to limit any type of safety concerns throughout the facility. One issue that is often overlooked is that of surface contamination. Surface contamination can come in many different forms, and can cause a wide range of different dangers for employees as well as the facility itself. Monitoring and eliminating all types of surface contamination in the workplace can help to greatly reduce many different risks. It is important to ensure everyone in the facility is working together on this objective, however, or things will be missed. In many cases, employees, management and the cleaning or janitorial staff can work hand in hand when attempting to improve safety. Before getting into this issue too much, however, it is important to identify what surface contamination in the workplace is. There is currently no surface contamination criteria or quantifications for skin absorption included in OSHA standards. 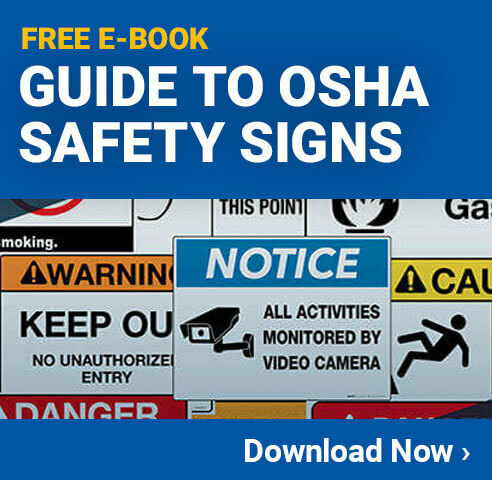 However, some OSHA standards contain housekeeping provisions that address the issue of surface contamination. Slippery Contaminants – Things like oil and grease can be spilled on a surface, or they can build up over time. These types of contaminants can cause surfaces to become very slippery, which can be very dangerous. Even if people don’t walk on the slippery area, it can cause other things to fall or become unstable. Sticky Contaminants – Glue, certain types of wax and other things that become sticky can be very hazardous. They can attract dust, or other hazards to the area, and they can make it more difficult to lift or move items that are set on the surface. They can also cause damage to items they come into contact with. Flammable Contaminants – When flammable contaminants rest on a surface it can be a disaster waiting to happen. Sawdust, for example, can build up on a surface over time. If there is a heat source nearby, it can ignite the dust, causing a large fire very quickly. In addition, if the sawdust is blown into the air it can travel to a heat source, where the fire risk is also significant. Respiratory Contaminants – Some contaminants can make it difficult, or impossible, to breathe if they are inhaled. While they don’t cause problems while settled on a surface, they can be quickly blown into the air where they can cause major health problems. Things like dust and small pieces of debris are examples of this. Biological Contaminants – Biological contaminants are often invisible to the naked eye, but can be deadly. They are more common in hospital settings, but can exist anywhere. If someone is cut, for example, their blood may get placed on a surface area. Regardless of the situation, biological contaminants can cause illness without people even knowing it is there. Chemical Contaminants – When using chemicals, they can sometimes be very hazardous to people’s health. When chemicals are left on a surface, someone else in the area may not recognize what it is, and touch it with exposed skin. This can cause severe burns or other injuries very quickly. There are other types of contaminants that exist as well, and it is important for all facilities to take the time to identify all potential hazards. Once the surface contamination risks are identified, it is time to take action to reduce or eliminate them as much as possible. In many cases, cleaning up surface contamination is more difficult than people would expect. Unlike most residential cleaning, you may need to use very specific types of cleaning supplies in order to eliminate the hazards of many contaminants. For example, oil based contaminants are often difficult or impossible to clean without using some type of solvent or spill kit. In addition, biological contaminants often need an anti-bacterial and/or anti-viral cleaner in order to get rid of the hazard. Having all the different types of cleaners available is essential for all facilities. In most cases, the cleaners will be stored away until needed, and then the specific cleaning agents that are required for a specific situation will be pulled out by the cleaning staff. Most of the time, the cleaning will be done on a regularly scheduled basis. It is also important, however, to allow employees to notify the cleaning department when a specific surface has been contaminated. When there is a mess, it is essential that it is cleaned up quickly and completely to avoid potential hazards. When employees working in the area, and the cleaning crews are able to work together, the risks of injury or damage to the facility can be brought down dramatically. While it may seem odd, it is also possible to put too much emphasis on surface cleaning. Like with all things, cleaning surfaces costs money, and can be disruptive to the work that is being performed in an area. If a facility overemphasizes keeping every surface as clean as possible, it will likely end up causing more problems than it fixes. The important thing to consider when planning out any type of cleaning is whether or not an area is clean enough to function properly. When areas get to the point where they are causing safety issues, they obviously need to be cleaned right away. In many cases, however, an area may have some contaminants on it, but not enough to cause any significant risks. In these cases, it is often best to just leave them as they are, until the regularly scheduled cleaning can take place. Even with the proper cleaning materials and chemicals, it is still possible to leave hazards behind after cleaning an area. For example, someone who is cleaning up an oil based spill on a surface area, they might leave behind the cleaning chemicals, which can also be dangerous. It is important that the people doing the cleaning know how to properly, and completely, clean an area. This will often mean using one cleaning product to get the contamination up, and then another one to remove any residue of the original cleaning agent. While this may sound time consuming, and even redundant, the fact is that without proper training, cleaning a mess can actually cause more harm than good. Some of the cleaning supplies that are commonly used can cause harmful fumes in an area, which is why it is so important to leave all surfaces clean and safe, every time. Training employees on how to properly clean surfaces shouldn’t be too hard, and it won’t take too long. Most cleaning products come with information about any hazards that they can cause. Teaching everyone to read the labels, and how to properly respond, is often sufficient. Janitorial staff may require additional training, however, since they are typically the people who will do the majority of the cleaning. While it is important to respond to spills and other surface contamination in the workplace when they occur, it is equally important to keep areas clean on an ongoing basis. This typically means having a cleaning schedule that will have all surfaces in a workplace completely cleaned on a regular basis. Identifying what the proper cleaning schedule will be is an important job for the janitorial staff, as well as facility management. Different parts of a facility tend to get contaminated at different rates, so it isn’t enough to simply wipe down all surfaces once per week, for example. Areas where there is heavy machinery may get greasy quickly, and require much more frequent cleaning. Areas where there is a lot of dust due to the type of work being done also require more cleaning than an office area. Identifying exactly which areas need to be cleaned, and how often, can help keep the facility looking great, as well as keeping it safe. Another thing to consider when creating a cleaning schedule is the time of the day. It is often best to clean after hours, when fewer people are in the area, and it will cause less of a disruption. In addition, when machines aren’t turned on, the dust and other contaminants have time to settle. This allows the cleaning to be more effective, since the air won’t be filled with dust just waiting to settle on any newly cleaned surface. Even facilities that operate 24 hours per day will typically have some times which are slower than others. Identifying these ‘down times’ is a great way to schedule cleaning at the optimal time. While this may seem like a fairly small factor to consider, it can not only help ensure surfaces are properly cleaned, but it can also minimize the potential impact the cleaning has on how the facility is operating. Fixing Leaks – Over time, many machines and other equipment will develop small leaks. These don’t typically present any real risk to the machine itself, but the leak can cause surface contamination in the area around it. The leaking oil, grease, or other lubricants can make quite a mess, and cause a variety of hazards in the area. Fixing the leak may not seem like a priority for the machinery, but it can be essential for preventing surface contamination. Collecting Dust – In many work environments there is a lot of dust that is created from saws and other machines. Depending on a variety of factors, this dust often just goes up into the air and settles on area surfaces. Rather than letting this happen, consider using a vacuum system to collect the dust as it is created. This can help to reduce the amount of surface contamination that occurs, and can also help limit any respiratory problems caused from the dust. Use Proper Cleaning Products – There are many times when people see a small mess and wipe it up with a paper towel or napkin. While this may be helpful, it often won’t remove all the contaminant, and can actually just spread it around more. Rather than using whatever cleaning supplies are closest, make sure all messes, no matter how big or small, are cleaned using the right products. Change Filters – Most facilities have filtering systems to keep the air clean and safe. When the filters reach the end of their usable life, however, dust and other debris can get through more easily. By changing the filters according to the recommended timeframe, it is possible to keep a lot of dust and other contaminants out of the air, which means they won’t be settling onto the surfaces in the area. Using Proper Equipment – There are many times when facilities use temporary solutions to some jobs, which don’t operate as efficiently. For example, a kerosene space heater works well to heat up an area, but they can cause contaminants to enter the area. While it may be necessary to use for a time, it is best to come up with a long term heating solution that operates more efficiently and does not contaminate the air. Surfaces are Usable – When a surface is contaminated with dust, oil or other things it can’t be used for many tasks. This can make it more difficult for people to do their jobs efficiently. Improved Safety – Whether a surface is slippery, or sticky, it can cause a variety of safety problems. Slick surfaces will be more likely to cause items to fall off of them, and sticky ones make it difficult to move items where they need to go, both of which can have an impact on the safety of the area. Professional Appearance – When an area is nice and clean, it has a more professional appearance. This is important for a variety of reasons, including improving employee morale, and impressing potential clients or customers who come through the area. Prevents Damage – Contaminants can cause damage to products in a variety of ways. Even something as simple as dust can get into a product and cause it to function improperly. Other contaminants can damage the packaging or other parts of most products. Improved Health – When surfaces are contaminated with biological or other medically dangerous materials, it can quickly spread to other people. Keeping surfaces free from these types of contaminants can help to reduce the spread of illnesses and other medical problems. Improved Efficiency – Contaminated surfaces need to be cleaned before they are used, and if a scheduled cleaning program is not in place, it will be done only on an ‘as needed’ basis. This will typically take significantly longer than it would when better organized. This can also cause delays in the normal work that needs to be done. It is easy to see just how damaging surface contamination can be in any workplace. Since every facility is different, however, it is important to come up with a custom plan of action to help minimize surface contamination in the workplace. In some cases, this will be a fairly easy task, and in others, it will be much more difficult. Whatever the situation for your facility, it is well worth the time, effort and investment that need to be made in order to reap the many benefits of having clean and healthy surfaces throughout the facility.